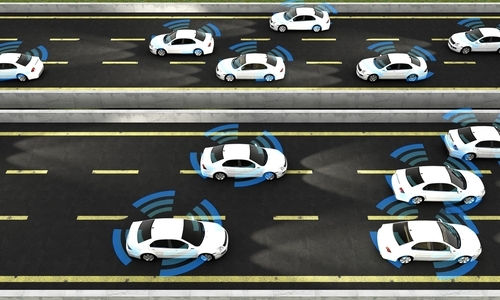 How Will the Artificial Intelligence Be Programmed in the Future of Self-Driving Vehicles? The news is still buzzing about the Tesla driver who died while the car was in the self-drive mode. It sounds like he went beyond the limits of the car’s technology by relying exclusively on the computer. Nonetheless they will be in every car in the foreseeable future. Prototypes operated by Google and others are on the road today in and around Silicon Valley just outside of San Francisco. In addition to Tesla, BMW recently announced self-driving cars will be in their line of vehicles by 2020, just 4 model years from now. In many ways, I’m excited about the possibility and believe safety will definitely be enhanced. At the same time, the artificial intelligence designers will have to program logic sequences into what the car will do in a given situation. Like what happens in a panic event and an avoidance move creates an “us” or “them” situation. Will the car opt to protect the passengers within or one or move pedestrians in its potential path? This is, of course, a moral dilemma. This has not been lost on big thinkers. The journal, Science, posted an article talking about all this entitled "The Social Dilemma of Autonomous Vehicles." They surveyed people about what logic they would prefer the car to exercise, like save the passengers or take out several pedestrians to avoid a head-on collision. People being people tended to opt to save the passengers when they were in the car but save the pedestrians if they were not in the car. Shocked? How will these cars react to avoid a pedestrian illegally crossing in front of them? What if they were crossing legally? What if the avoidance move endangered one person? Or five people? When we shop for one of these cars will the manufacturer reveal its logic system when moral choices are presented? Would it matter to you as a buyer? How many drivers have thought through these sequences in advance themselves? We’re often astonished at the amazing moral choices drivers and airplane pilots make when faced with instantaneous crises and they make a maneuver which saves multiple lives. Would your self-driving car make the same choice as you?